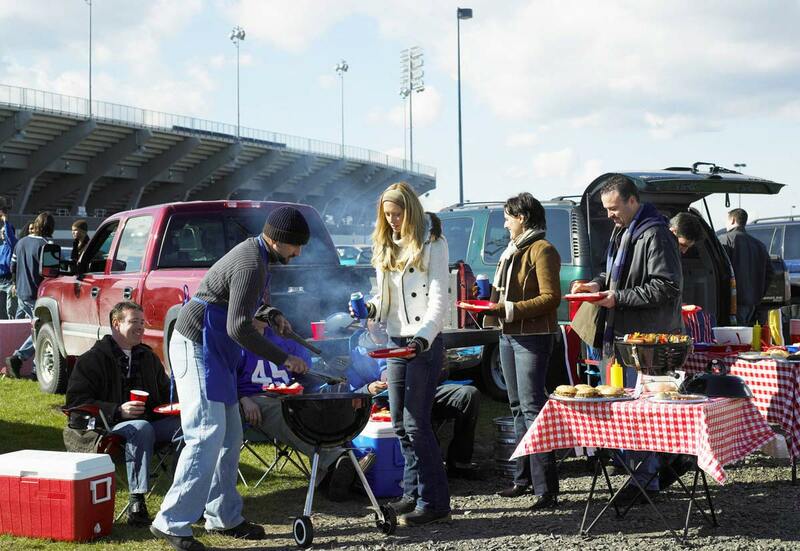 Tailgating is a die-hard tradition and a custom for many college, university, and pro football fans. Regardless of the weather or team record, a game is incomplete without having a party and celebrating outside the stadium while food cooks on a grill. 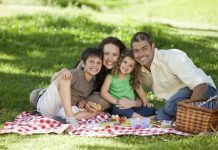 But, because tailgate parties are an all-day food grilling and feast, there is also a risk of foodborne illness. 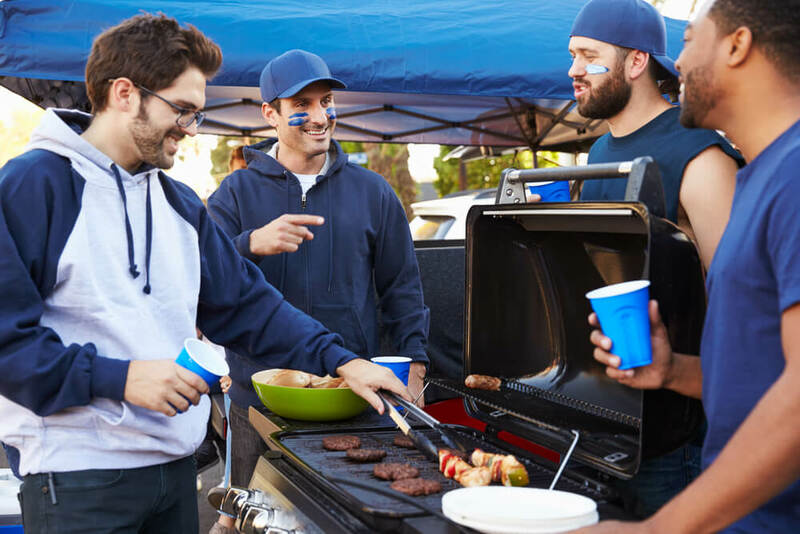 Make sure to follow sound food safety principles and procedures – so you and your friends can enjoy the game – rather than becoming ill.
Plan Ahead. If you are traveling with perishable food, place it in a cooler with ice or freezer packs. When carrying drinks, consider packing them in a separate cooler so the food cooler is not opened frequently. Have plenty of ice or frozen gel-packs on hand before starting to pack food. 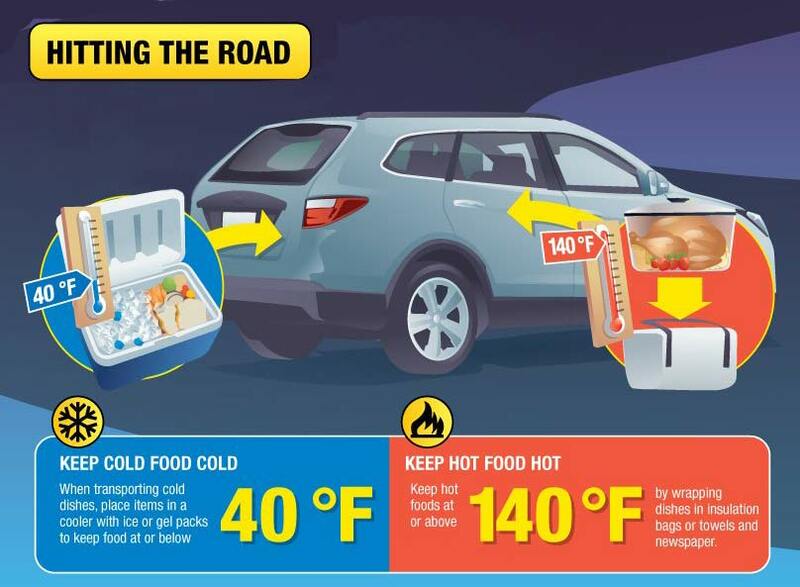 If you take perishable foods along (for example, meat, poultry, eggs, and salads) for eating on the road or to cook at your vacation spot, plan to keep everything on ice in your cooler. Wash produce before-hand, including those with inedible skins and rinds. Pack Safely. Pack perishable foods directly from the refrigerator or freezer into the cooler. Meat and poultry may be packed while it is still frozen; in that way it stays colder longer. Also, a full cooler will maintain its cold temperatures longer than one that is partially filled. Be sure to keep raw meat and poultry wrapped separately from cooked foods, or foods meant to be eaten raw such as fruits. Keep cold food cold. Maintain cold foods, like salsa and guacamole, at 40°F or colder. Use small service trays or nest serving dishes in bowls of ice, replacing ice often. Keep hot food hot. Hold hot foods at 140°F or warmer. Use chafing dishes, slow cookers, and warming trays to keep food hot on the buffet table. 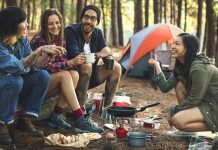 Consider packing beverages in one cooler and perishable foods in another since you are likely to grab beverages most often. Wash your hands with soap and running water (warm or cold) for at least 20 seconds before preparing, eating, and handling food—especially after passing the TV’s germy remote control! Also wash your hands after using the bathroom and touching pets. 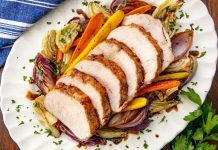 Use a food thermometer to test party favorites, like chicken wings or ground beef, and any other meat or dishes on your menu. 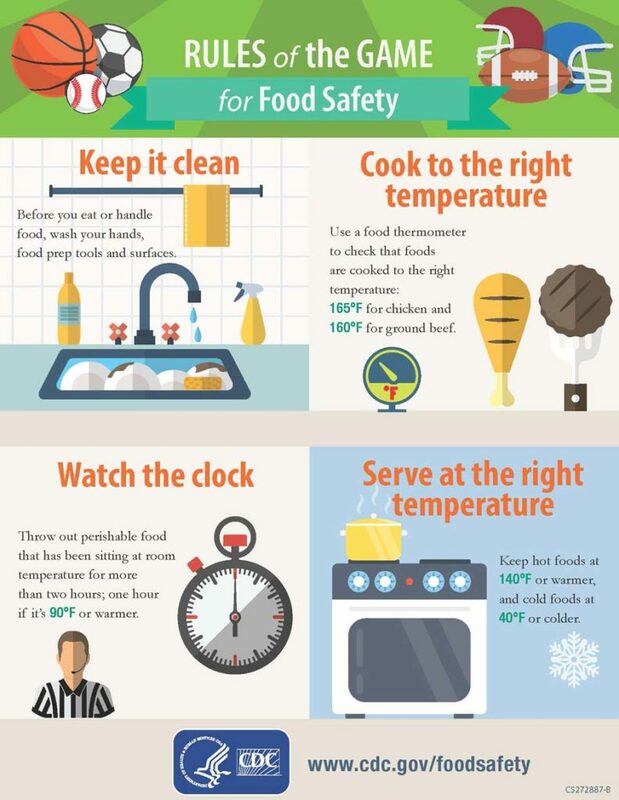 Refer to the Safe Minimum Cooking Temperatures chart below for the “rest time” of meats—the period after cooking that some meats need to rest before serving to ensure that germs are killed. Remember, discard any food left out more than 2 hours (1 hour if temperatures are above 90°F).